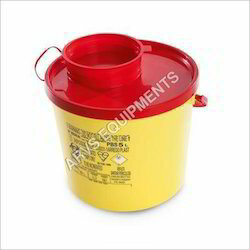 We are a leading Manufacturer of sharp disposable container, 1.5 ltr sharp containers and puncture proof containers, sharp and puncture proof containers, sharp container, sharp container & puncture proof container and sharp safety cardboard box from New Delhi, India. Material Made of heavy duty puncture proof kraft & cardboard material. 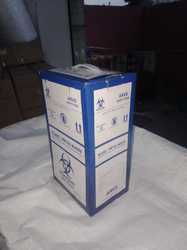 Sharp aperture to receive syringes,needle assemblies of all standards sizes upto 20 ml. 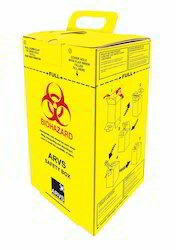 Other Sharps such as contaminated ,broken or discarded glass including medicine vials and ampoules. Available sizes 5 liters/10 liters/ 20 liters. 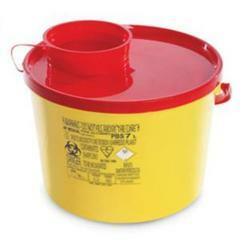 Puncture Resistant Containers for the disposal of Sharps and Cutty Waste. Indents for needles and Insulin pen removal. 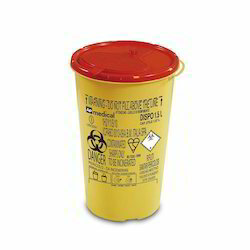 Disposable and Puncture Resistant Containers for the disposal of Sharps. No emission of any harmful gasses during the incineration process. Erognomic handle for th emore sapcious models. Mechanism for un hooking insulin needles. 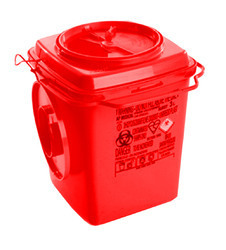 Disposal of Sharp and Cutting Waste. Wide opening for disposal of voluminous material. Mechanism for unhooking of needles. 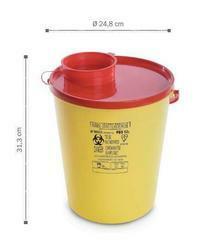 Disposable and Puncture Resistant Containers for the disposal of Sharp and Cutting Waste. Material Made of heavy duty puncture proof kraft and cardboard material. Type Kraft And Cardboard Material. Broken or discarded Glass Including Medicine Vials and Ampoules. Available size 5 liters/10 Liters/20 Liters. · Made of heavy duty puncture -proof kraft & cardboard material. · Bio-hazard sign clearly and conspicuously displayed on all the faces. 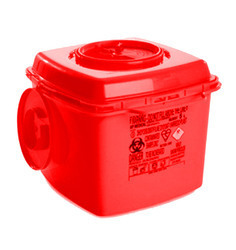 Disposable and Puncture Resistant Container. Hermetic Even If turned upside down. Temporary Closure Eacy to activate,with visibilty of the inside. 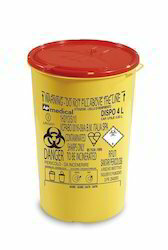 Sharp Disposable and Puncture Resistant containers for the disposal of Sharp . 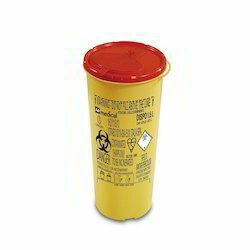 Sharp aperture to receive syringes,needle assemblies of all standards sizes upt to 20ml. 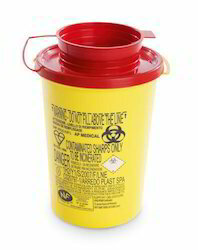 Available sizes 5 liters, 10 liters/ 20 liters. Made up of heavy duty puncture proof kraft and cardboard material. 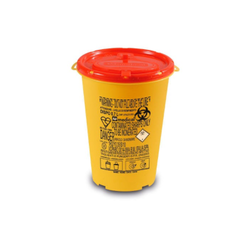 Puncture Resistant Containers for the disposal of sharp and cutting waste. Wide opening for the disossal of larger material. Indents for needle and insuin pen removal. 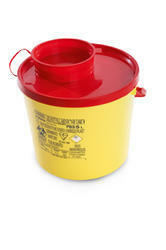 Puncture Resistant Continers for the disposal of sharp and cutting waste. Wide Opening for the disposal of larger material. Universal Trolley hanging system,vertical and horizontal. Temporary Closur easy to acticate with visibility of the inside. No emission of any harmful gasses during the inceneration process. 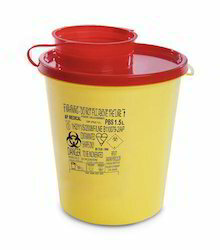 Sharp Disposable and Puncture Resistnt Containers for the disposal of Sharp and cutting waste . Universal Trolley hanging system, vertical and horizontal. Temporary closure easy to activate, with visibility of the inside.